A house of worship can be a notoriously challenging space in terms of acoustics, with many churches having large, reverberant spaces and reflective surfaces that can make it difficult for the message to be delivered with clarity. 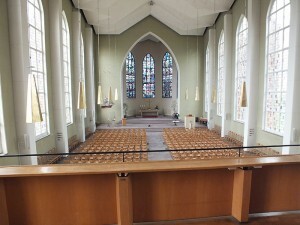 One example of this kind of problematic space is the Bürgermeister-Smidt-Gedächtniskirche in Bremerhaven, Germany. The Mayor Smidt Memorial Church, popularly known as the ‘Great Church’ is a historic building with its early foundations dating back to 1846. In recent years, the congregation had complained about the lack of intelligibility during services, with the message being lost due to the poorly equipped nature of the previous sound system, which wasn’t fit for purpose in a modern house of worship setting. 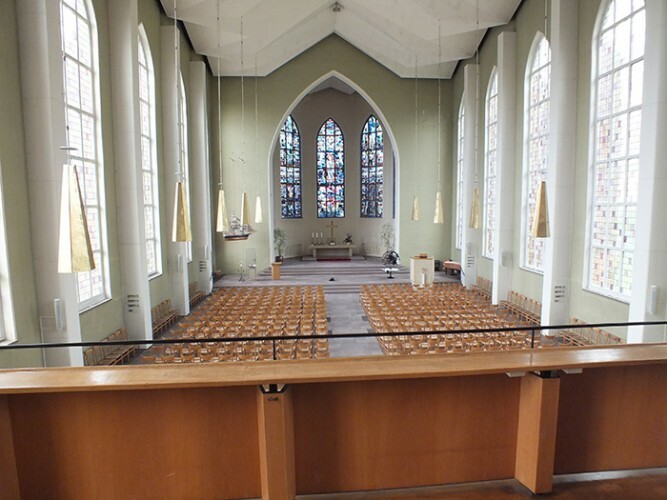 The church called upon the services of Blue Sound in Lunestedt, who decided that he best product on the market to solve the acoustical challenges of the Great Church was Tannoy’s award-winning passive column loudspeakers. With transducer technology adapted from Tannoy’s highly successful QFlex, the company’s self-powered steerable array system coupled with an innovative new passive crossover network design, VLS Series is the first Tannoy product to incorporate FAST (Focused Asymmetrical Shaping Technology), delivering unique acoustic performance benefits not previously seen across a full range of passive column loudspeakers. Central to this is its asymmetrical vertical dispersion, gently shaping the acoustic coverage towards the lower quadrant of the vertical axis. By the nature of a typical application, an ideal column loudspeaker should be biased in the vertical plane, towards the audience and away from reflective surfaces above (like ceilings) which are detrimental to intelligibility. FAST also facilitates quicker, easier installation with less need for tilting or specific concern for optimal mounting height. These features alone made it a perfect choice for The Great Church. Lab.gruppen’s E Series amplifiers provide ample power reserves with amazingly low power consumption, therefore reducing the total cost of ownership below that of conventional designs. The units are built around an amplifier platform called IDEEA: IntelliDrive Energy Efficient Amplifier, which exceeds the rigorous efficiency requirements of Energy Star 2.1 certification, making it an ideal choice for any modern installation like Mayor Smidt Memorial Church.